Where has the name of Paryski Street been derived from? Paris in Zakopane? A city famous for the richness of culture and art, Zakopane tradition and highlander folklore cultivated until today? Well, it is possible. If we delve into the history of this place and the history of the eminent residents of Podhale, we will find the name of Zofia and Witold Paryski on the pages of the local history. Zofia Paryska was an outstanding mountaineer, writer, and social activist. She was the first woman to become a mountain rescuer (TOPR), as well as a senior mountaineering instructor and Tatra guide. She was the author of popular scientific publications. She collaborated with newspapers, wrote books, film scripts, poems, and stories. Together with her husband, she co-authored the Great Encyclopedia of the Tatras. Witold Henryk Paryski, just as his wife Zofia, was an outstanding Tatra mountains climber, guide, and rescuer. He was engaged in his work to protect nature. 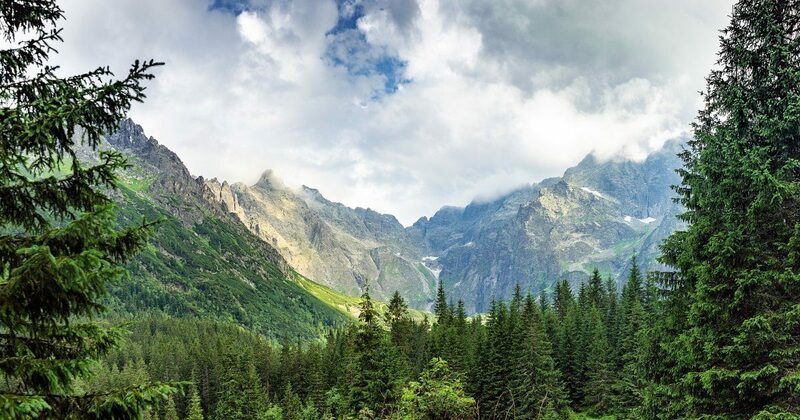 He created many works about the Tatra Mountains. He was the author of the Tatra mountains guide - the High Tatras. Witold Paryski made the first passages in the Tatras. He was awarded the Commander's Cross with the Star of the Order of the Polonia Restutita for his achievements in the field of science and education. The common grave of Zofia and Witold Henryk Paryski is located at the Pęksowy Brzysk Cemetery for Distinguished Citizens in Zakopane. The special marriage certainly deserves to have one of the Zakopane streets hold their great Name. We are proud that our hotel is connected with Zofia and Witold Paryski.